Description: As the Federal army withdrew towards Manassas Junction, Owens and Smyth’s Union brigades (Warren’s II Corps) fought a rearguard action against Stuart’s cavalry and infantry of Harry Hays’s division near Auburn. Stuart’s cavalry boldly bluffed Warren’s infantry and escaped disaster. The II Corps pushed on to Catlett Station on the Orange & Alexandria Railroad. 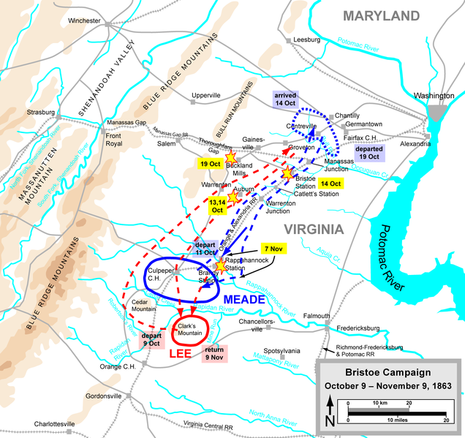 The Second Battle of Auburn was fought on October 14, 1863, in Fauquier County, Virginia, between Union and Confederate forces in the American Civil War. 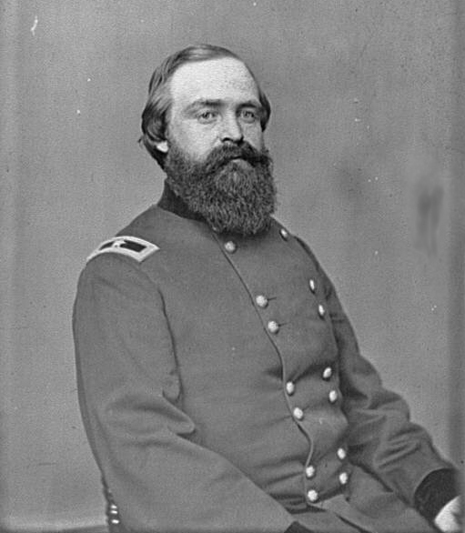 Confederate forces led by Lt. Gen. Richard S. Ewell led a sortie to extricate Maj. Gen. J.E.B. Stuart's cavalry command, trapped between two Union columns and clashed with the rearguard under Brig. 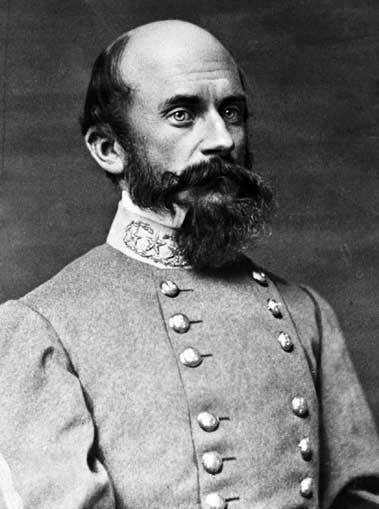 Gen. John C. Caldwell of the Federal III Corps. 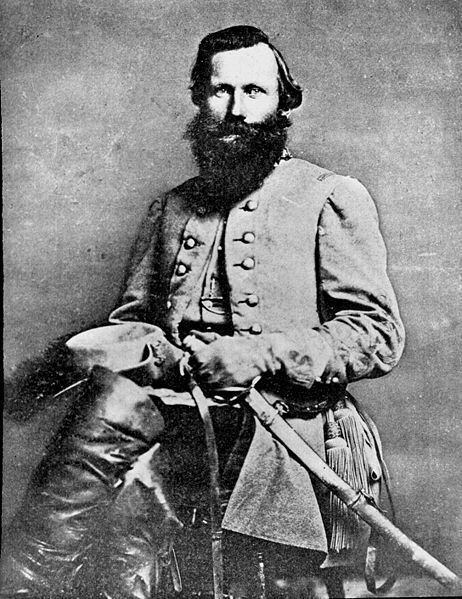 Stuart was successfully extricated and the Federal wagon train avoided Confederate capture in the inconclusive fight.